Dallas Curry, a successful advertising photographer, has been accused of stealing ideas from his rivals. At the same time, Clare Grant, Curry's former client and an actress about to break onto Broadway, disappears without a trace. Nancy discovers that a single picture is worth a thousand words -- and the two words that concern her most are danger and deceit. Nancy's investigation takes her to New York, from the theaters along the Great White Way to the high-powered ad agencies of Madison Avenue. 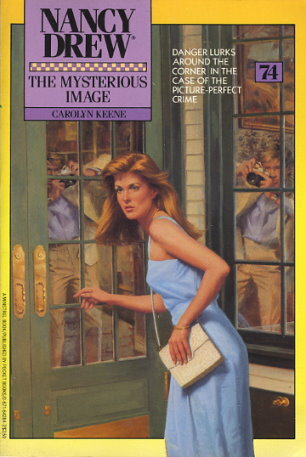 A photograph Of Clare Grant torn to shreds and a series of rock videos mailed to Curry provide vital clues to the case, which Nancy must solve before THE MYSTERIOUS IMAGE fades to black!